Poros is a small, volcanic little island of Saronic Gulf, which name means narrow strait, and is separated from the Peloponnese and the picturesque town of Galatas by a 370 meters canal. It is famous for its beautiful nature, vintage charm and peaceful ambience. The most picturesque spot of Poros is the Love Bay, surrounded by the characteristic pine forests of the island. The town of Poros is build on the small peninsula of Sferia mainly on the small hill overlooking the port. 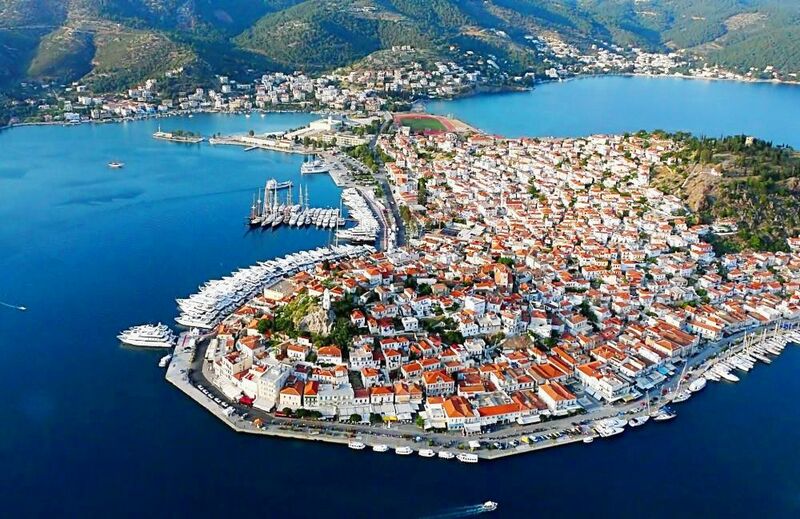 Poros, with its wonderful architecture and significant historic sites, is considered one of the best places for unforgettable holidays but also for one-day cruises.